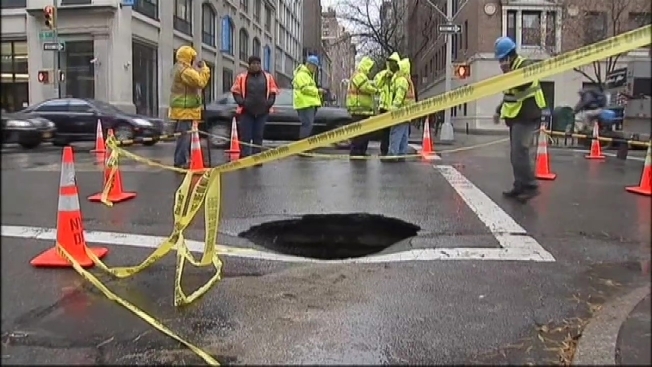 A sinkhole spewing water on Fifth Avenue in Manhattan trapped a box truck Friday morning, officials said. A water main break weakened the street and caused the 3-foot-wide, 3-foot deep hole near 12th Street, officials said. One lane of the street was blocked off for repairs. The truck that got stuck was eventually freed, and the city was working on the break. The Department of Environmental Protection said a 30-inch main cracked and would be repaired within a few days.